There are many books written on the miracle of juice fasting. Fresh juices are great to get vitamins, mineral and enzymes in the best way which is directly from fresh organic food. A good habit could be to juice fast one day a week, or even only one day a month to start, and build an habit doing it for a while and see how the body is reacting to that, you will notice immediately your energy levels going up. 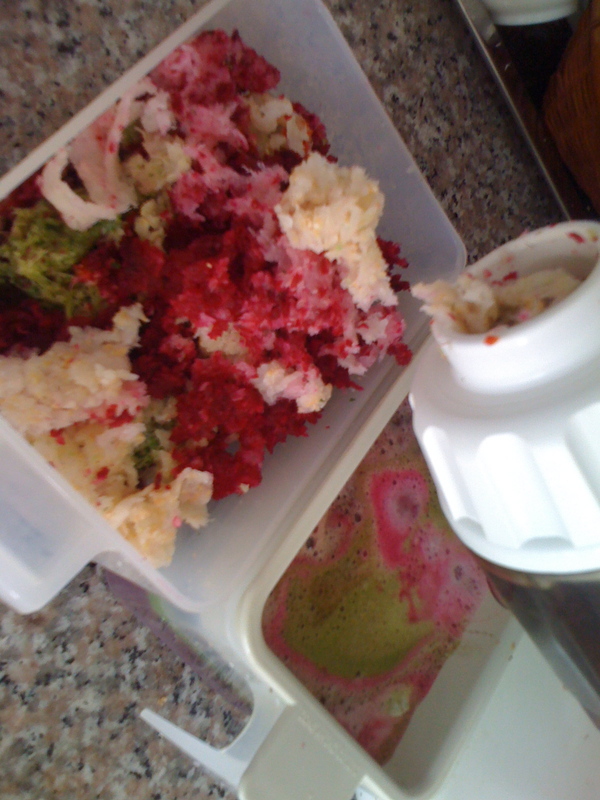 If you are not into fasting, juices can be used as normal drinks, and when you prepare raw foods you normally get some leftovers, like for example broccoli stalks, roots, skin etc. 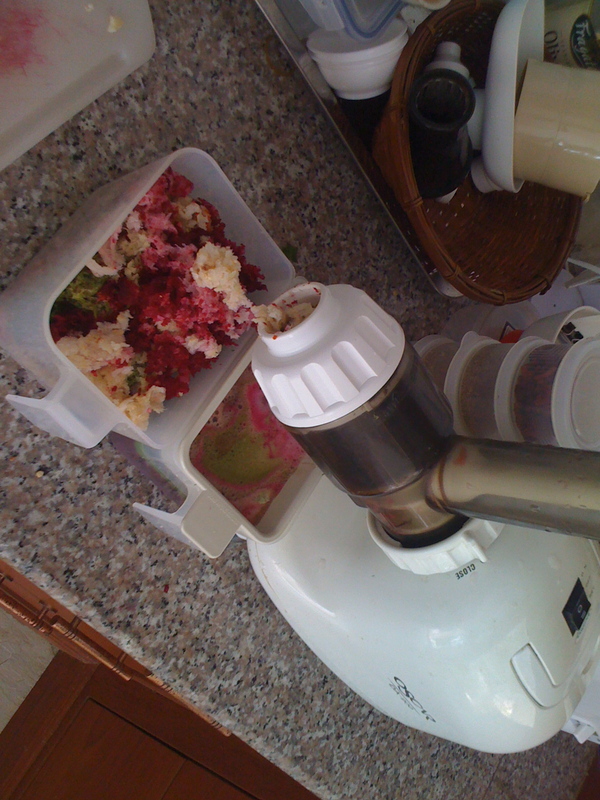 (use the skin only if it’s organic food) and those leftovers are great for juicing, then when you get the leftovers from the juicer you can use that as a fiber base for flax crakers … that’s the beauty of raw food, everything is used and “recycled” and if you have a garden, well you can perfectly close the cycle and enjoy your full connection with our great Mother, Mother Nature. There are many juicers in commerce, to get the optimum benefits out of it you want to be sure to get a slow, “masticating” juicer and avoid the high speed ones. The high speed and metal blades are going to oxidize the juice very quickly and a lot of the benefits are lost. Furthermore, the slow ones are really easy to use and the cleaning process is easy and fast. 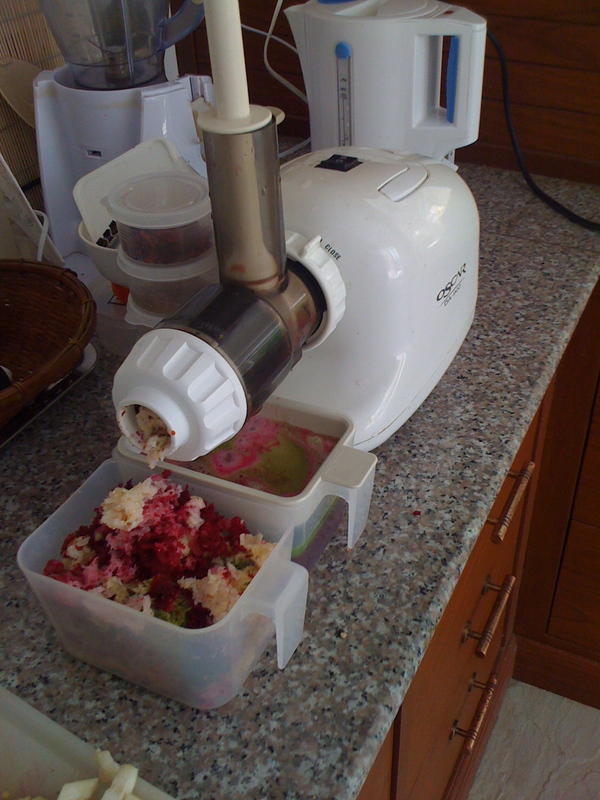 At the moment I own a Oscar 900 (the one in the pics) and I’m quite happy, the Oscar has also a blank attachment through which you can make ice creams with frozen fruit or nuts pate, another great one is the Versapers which in my experience is more effective in juicing, but I can’t tell how good is for pate and icecreams.